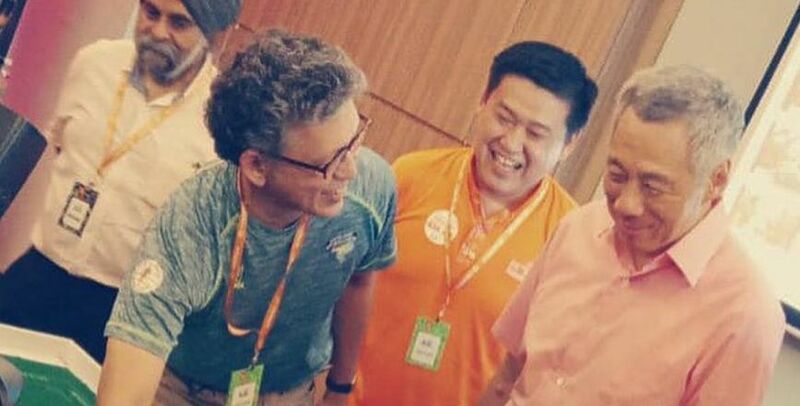 Our brothers in Singapore continue to push the boundaries in promoting our sport. 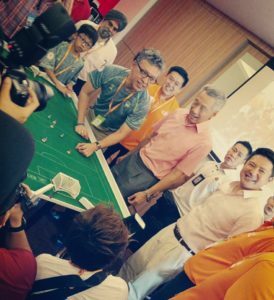 The Kebun Baru Doves Table Football Club took part in the grand opening of their local Community Club Grand with Singapore Prime Minister Lee Hsien Loong and Advisor for Yishun GRC GRO, Mr Henry Kwek introduced to our sport by club organiser John Edwards. 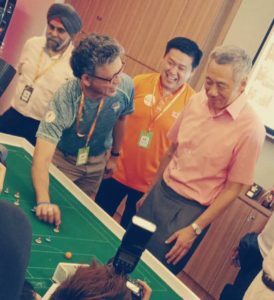 Prime Minister Lee even tried his hand on the table. This entry was posted in FISTF News, Front News, Latest News. Bookmark the permalink.